The "Best Chilblains Treatment" is the worlds only natural chilblains treatment guaranteed to get rid of chilblains or your money back! Improvement in as little as 24 hours. 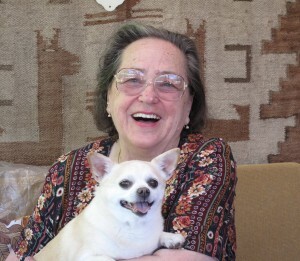 Inventor of the chilblains.org treatment, Cecilia has been prescribing the treatment for over 47 years! Information you need to know about chilblains including why it occurs, related conditions and how your lifestyle may be making you susceptible to chilblains. 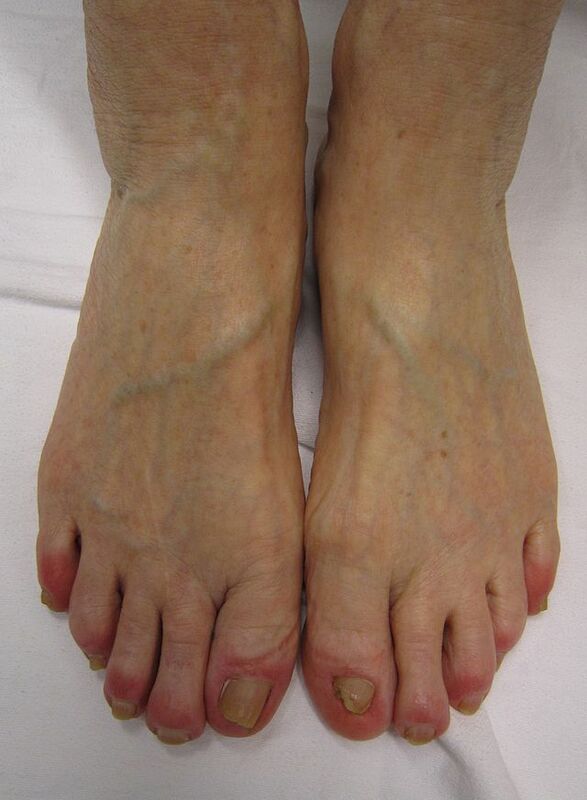 Chilblains exist with varying severity. Find a treatment suitable specifically for you. Read more about our organisation and how it all started. Chilblains, also known as chilblain, pernio or perniosis are patches of swollen, discoloured and sometimes itchy skin often caused by a combination of cold weather and poor circulation. Chilblains often affect the toes however other areas of the body such as fingers, earlobes and the nose can also develop chilblains. Chilblains are very common and affect thousands of people over the world. Chilblains can be incredibly uncomfortable, itchy and often frustrating, particularly when they affect the toes. Wearing shoes can become very uncomfortable during the day. Some extreme cases can lead to blisters scabbing and potentially infection. This condition is often confused with other conditions like frostbite, Raynaud’s phenomenon and trench foot.1-5 Fortunately, Chilblains are treatable using both preventative methods and with the use of ointments or medication. 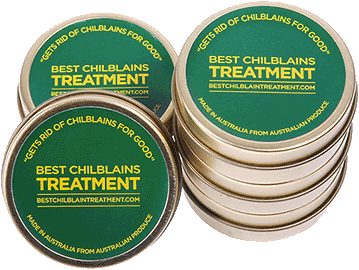 The chilblains.org organisation has teamed up with "The Best Chilblains Treatment" to stock a very effective chilblains relief cream which has helped thousands of sufferers around the world. The development of chilblains is often linked to cold weather or sudden changes in temperature. Poor circulation is also often attributed to chilblains and the symptoms are often amplified by wearing tight shoes and/or restrictive clothing. There are many ways to treat chilblains - the effectiveness of each method varies with the severity of the chilblains. Treatments range from simple preventative methods such as warm clothing to creams and ointments. See our Treatment Comparisons for more information on most treatments. Chilblains signs and symptoms generally appear a short while after being in the cold. There will be a burning and itching sensation, usually in the extremities, such as the feet, hands, nose or ears. Symptoms get worse if the individual walks into somewhere warm. The skin of the affected area may go red and become inflamed (swollen). Sores and blisters may appear (rare).